Swine and poultry farmers have been placed on guard by the Environmental Protection Agency (EPA) due to public health risks. During the past week, the EPA conducted three enforcement operations on the East Coast of Demerara. The visits were carried out after the Agency served Prohibition Notices to these facilities in November 2018. According to information released by EPA, the notices were served to Mr. Kishan Dos Santos of 60 Voorzigtigheid, Mahaica; Mr. David Sital of Lot 5, Centre View Lusignan, East Coast Demerara; and Mr. Prem Balmacoon, 198, Phase 1, Good Hope East Coast Demerara. Before the notices were served, the Agency carried out a number of inspections in response to complaints made by residents in the community. In all three cases, residents complained of odour nuisance caused by the improper disposal of waste generated. The Agency’s inspections revealed, the swine and poultry rearing operations at these facilities posed a severe risk to public health and the environment. In accordance with the Environmental Protection Act, Cap 20:05, Laws of Guyana Section 27 (1) (b) – “where it appears to the Agency that any activity in any area is such as to pose risk of serious pollution of the environment or any damage to public health, the Agency shall serve on the person responsible for the activity, a prohibition notice.” As a result of this, no operation or business is above the law and therefore should seek the Agency’s advice on compliance and best practices. Furthermore, the Agency will continue to monitor the three operations and other such facilities to ensure the owners are taking steps towards safe environmental practices. Since the visit by EPA officers, one operator has taken control of his operation by removing the chicken from his residence while another came into the Agency to seek the guidance on implementing compliance measures. As a regulatory body, the EPA is stepping up its role to ensure that polluters are adhering to country’s environmental laws. The Agency’s aim is not to hinder businesses from operating but to ensure that they are not operating at the cost of risking environmental and human health. 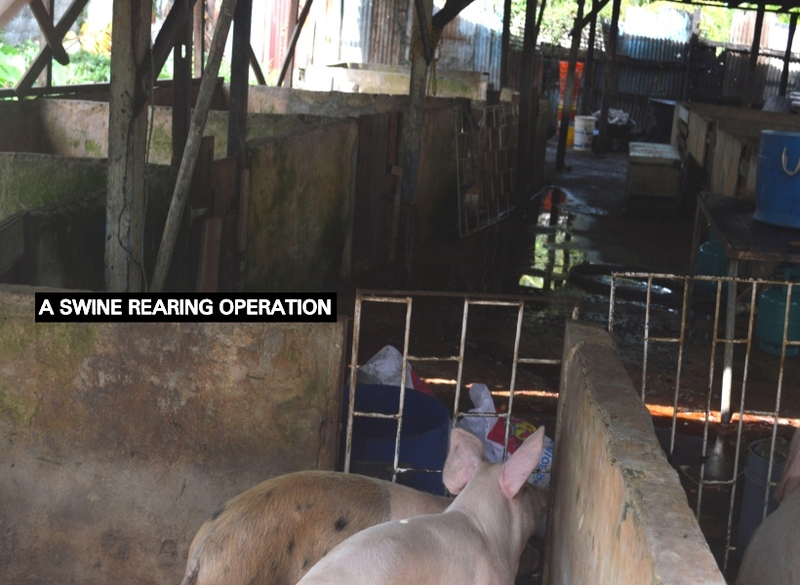 There are environmental guidelines for swine and poultry operations and the Agency encourages persons who are rearing animals or setting up businesses to seek guidance before starting their operations. As the new year approaches, the Agency will continue to carry out visits throughout the country to ensure that persons are complying with safe environmental practices.